Doug Lyle. I write as DP Lyle and I’m old, very old. I grew up in Huntsville with two sisters and a great mom and dad. Mom made it 89 and dad to 97. I completed my Chemistry degree as well as Medicla School and Internship at the University of Alabama followed by a residency in internal medicine at the University of Texas in Houston and a fellowship in cardiology at the Texas Heart Institute, also in Houston. For the last 40 years I have practiced cardiology in Orange County, California. 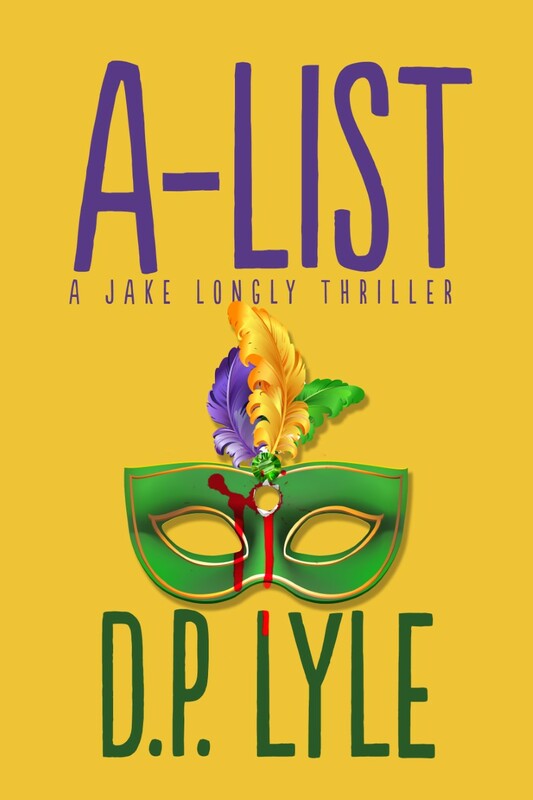 A-LIST, the second in my Jake Longly comedic thriller series, just came out. 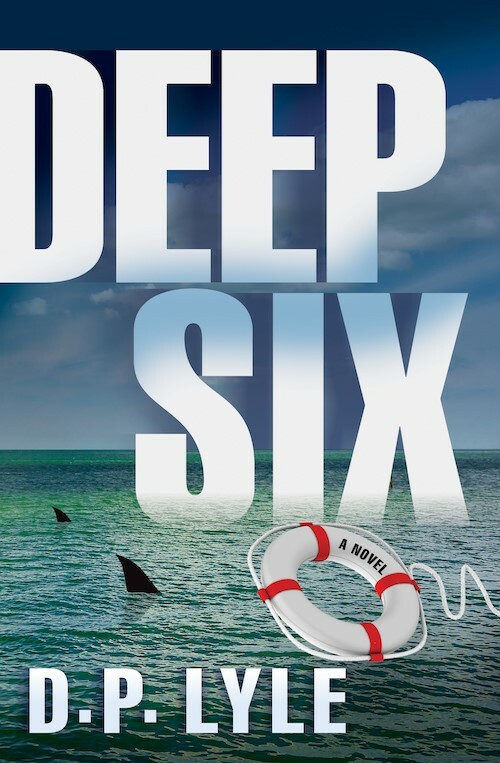 It follows DEEP SIX, which was nominated for the Shamus, INDIES Book of the Year, USA Today’s Best Book, and was named one of the Best of 2016 by Suspense Magazine. I grew up in the South where everyone can tell a story. In fact, it’s almost necessary or people won’t trust you. They probably won’t even feed you. Storytelling is a deep tradition down there. I could always spin a yarn, but I wasn’t sure I could write one. I always said that when I retired from my medical practice I would write the stories that I wanted to tell. But, about 25 years ago, I decided if not now, when? I took several classes at the University of California, Irvine extension center in their writing program and joined a couple of writing groups and began writing. Somewhere between finishing my first novel, which took 2 1/2 years, and getting my first book published which took about 10 years. I had a story that I’d been thinking about for years so when I decided it was time to take a run at fiction writing, that story was naturally the one I first attacked. It was a convoluted process. As I said it took 2 1/2 years to write. I sent it to my agent, Kimberley Cameron, and she responded, “there’s a story in here somewhere, I just can’t find it.” My response was,” that’s exactly what I needed to hear.” And so I went to work. We published other things along the way but this story wouldn’t go away. So after 10 years, four changes of location, four changes of title, one change of protagonist, and 27 rewrites, it was published. The only thing that remained the same was the bad guy and the basic story. It became STRESS FRACTURE, my first Dub Walker thriller. Mostly, trial and error. Titles are tricky and have a tendency to change along the way. And of course, in the end, the publisher has the final say so. Actually, I have several styles, depending upon what I’m working on. 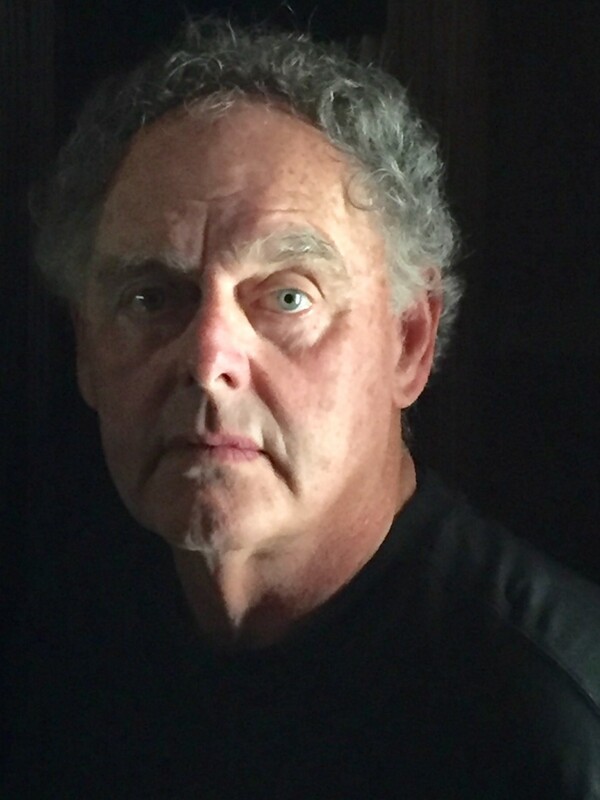 I write fiction, nonfiction, and short stories. Each of these requires a different approach and often a different voice. My nonfiction books revolve around police procedures and forensic science and therefore must be written more straightforward. In the fiction world, I write many different types of fiction, from darker more psychological things to my current series, which is more comedic. So, the style and voice changes among the various types of writing. The answer to this would be very little. Though I obviously take things from my experiences, reading, and people that I know, there is nothing that is directly lifted from any of those sources. The fun of fiction writing is to make it all up. Not necessarily. I have gone to various places where my stories are set such as the Gulf coast of Alabama, New Orleans, the California high desert, and the mountains of Colorado. But for the most part you can do much of this research with web searches. Google Earth is a wonderful resource and also the websites of many small towns and larger cities where the story might be set. Another good resource is the real estate section of the city in question. You can learn a great deal about the neighborhoods, home values, and the types of homes and businesses in that area. All of this can add credibility to your story. For example, I did this type of research for the two books I wrote for the Royal Pains TV series. It is amazing how many people have come up to me saying that I must know the Hamptons well because I made them come alive. I’ve never been there in my life. Nan, my better half, did a couple of them but mostly it’s the publisher. I’ve been asked this many times and I have even sat on panels at writing conferences where the topic was dealing with themes and things like that. The honest answer is that if any of my stories have a theme it’s purely by accident. I do not set out to comment on the world and the good, the bad, and the ugly, but rather to tell a good story. If someone gets more than that out of it, fine, but that’s never my intention. I like many authors but two really stand out: James Lee Burke and Elmore Leonard. Burke writes gritty crime fiction in a very literary and poetic fashion while Leonard spins his yarns in a down and dirty way, laced with humor and a host of amazing characters. Leonard is known as the guru of dialogue and so any writer wanting to improve their chops in that arena absolutely must read Elmore Leonard. There have been many. I’ve worked with a fairly large number of publishers and each has been a tremendous help in many different ways. A shining example would be Bob and Pat Gussin who own Oceanview Publishing, the publisher of three of my books. Also other writers that I’ve met through writing conferences and other endeavors have offered tremendous support, encouragement, and knowledge. But by far my greatest supporter would be my wonderful agent, Kimberley Cameron. We have been together for decades and she’s the only agent I’ve ever had. She has great instincts, aggressive negotiating skills, and her suggestions for my stories are always spot on. Thanks, KC. Yes, and no. I treat it seriously and run my career as a business, but at the same time I consider it playtime. It’s fun. I have a day job with my medical practice so writing for me as an escape from that. Too late. I never go back and read any of my work after it’s published. Once it’s out there, it’s out there, and there’s nothing you can do about it so why drive yourself crazy with finding typos, plot points that you would change, or even sentences and paragraphs that you feel you could’ve written much better?It’s too late, so don’t torture yourself. Not really. Since this is my 17th book there are few surprises with the possible exception that it never gets easy. Timothy Olyphant.He would make a great Jake Longly. There are so many tidbits of advice I can offer but I think the best is that writers should read, read, read and write, write, write. It’s really that simple. The former gives you the knowledge of what other people are doing and gives you insights on how to tell your story in such a way that it’s publishable. Writing hones your skills and gives you the confidence to move forward with telling the story your way in your own voice. Only that I hope they like my books and stories and that each will add a little fun to their lives. LOOK FOR ME by Lisa Gardner. I remember the first REAL book that I read, not counting all the sports related stories that today would be called YA. The first major book that I read was Jules Verne’s JOURNEY TO THE EARTH CENTER OF THE EARTH. I was 14, and it blew me away. No-brainer here. Leonardo da Vinci. An amazing artist and scientist and an incredibly creative thinker. I can’t even imagine how wonderful it would be to spend a few hours with him. There are many that I have enjoyed and look forward to future shows. These would include JUSTIFIED, TRUE DETECTIVE, FARGO, OZARK, BERLIN STATION, THE AMERICANS, HOMELAND, RAY DONOVAN, THE NIGHT MANAGER. and many more. Barbecued ribs and my mom’s pecan pie, blue, and the blues and classic rock. Probably decompose, since I would be dead. That’s the beauty of writing, you can do it until your final days. Probably my life’s motto: WHATEVER IS, IS. You can believe what you want but at the end of the day whatever the truth is, is whatever it is, and it really doesn’t matter what you or anyone else thinks. He is International Thriller Writer’s VP for Education, and runs CraftFest, Master CraftFest, and ITW’s online Thriller School. Along with Jan Burke, he was co-host of Crime and Science Radio. He has worked with many novelists and with the writers of popular television shows such as Law & Order, CSI: Miami, Diagnosis Murder, Monk, Judging Amy, Peacemakers, Cold Case, House, Medium, Women’s Murder Club, 1-800-Missing, The Glades, and Pretty Little Liars. Congrats on all of your awards! Best of luck to you.